The traditional bridal shower was intended to help the new bride stock her new home with essential items. The result was often an overwhelming assortment of pots and pans and bath towels! With a little planning, the host can alleviate this problem and throw a fabulous party. It all starts with having a specific theme for the shower and building refreshments, decorations, activities and even types of gifts around the theme. If the new couple is building or remodeling their new home, consider hosting a shower that will provide some of the much needed tools and materials to complete the project. This is a great theme for co-ed showers and has a “construction site” feel to the decor. It can be held indoors, outdoors or even in the garage. Set up tables using sawhorses and plywood. Complement the rustic tables with centerpieces of flowers in paint cans accented with basic tools such as hammers and screwdrivers. These tools can then be used as favors for the guests when they depart. Appropriate gifts for the new couple are power tools, hand tools, and gift cards to local hardware stores. This shower is also good for co-ed showers and focuses on lawn and garden items for the couple. Decorate using beautiful flowers in fabric wrapped pots that can later be planted at the couple’s home. Coordinate plates, napkins and other tableware to the outdoor theme. Wildflower seeds packets are a thoughtful guest favor and can be used to enhance the table setting. Gifts for the couple include lawn trimmers, garden tools and other landscaping supplies. Bedroom and Bathroom supplies for the couple are the intent of this shower. A gift registry is helpful for this type of shower as the personal preference and style of the couple are especially important in these rooms. Towels, linens, and décor items are appropriate gifts. Shaped soaps or bath confetti are good items to consider for guest favors. Many new couples are anxious to receive useful kitchen items. Small appliances, bakeware, pots, pans and dishes are some of the endless kitchen supplies they will be happy to receive. This shower easily combines with items for the dining room to include stocking the couple’s china cabinet. The hostess may also request that the guest bring a favorite recipe to compile a cookbook for the couple. A fun activity would be for guests to share their own cooking disaster story! Afternoon tea parties are excellent choices for bridal showers. It is the perfect opportunity to decorate with beautiful flowers, candles and tableware. Refreshments such as scones, tea sandwiches, and dainty petit fours can be displayed on lovely platters. Teacups and personalized teabags are wonderful guest favors and place card holders also enhance the place settings. 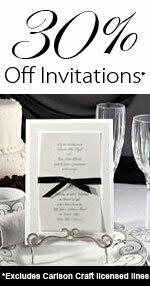 The hostess may focus on a category of gifts or may simply communicate to guests that a gift registry is available. A lingerie shower is a great way for a group of close friends to help a new bride celebrate her upcoming marriage. A small private setting works best for this shower as some brides may be embarrassed by displaying intimate apparel in public. Beautiful lingerie is a wonderful gift and votive candles, massage oils, lotions and other pampering items are also appropriate. The hostess may have a licensed massage therapist attend who will give hand and chair massages to the guests. Candles or scented soaps would make wonderful guest favors.